Earlier this year, I wrote about my experience meeting Mick Foley, my new found interest in professional wrestling, and my initial academic thoughts on professional wrestling and Worldwide Wrestling Entertainment in particular. 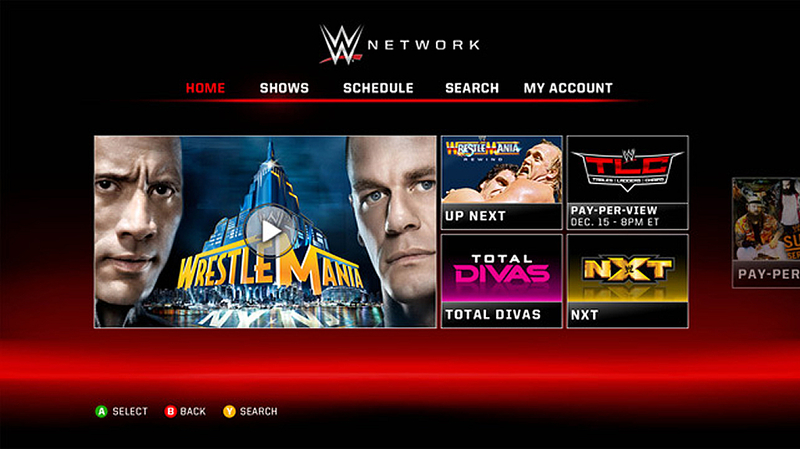 Since that time, I signed up for the WWE Network, the new online-only initiative recently launched by the WWE to serve as their “television network.” With the network, we can watch old matches, including the ECW and WCW shows, and we can watch the live pay-per-view extravaganzas as well as current shows like Main Event and NXT. We haven’t explored too much yet, but we have found it fun to have this huge library of content available. Now, this post is not a plug for the network. From an academic angle, the existence of the network is interesting, although it may be doing more harm than good for the company at this time. What the presence of the network indicates is another example of what interests me about professional wrestling: the convergent nature of it. In a nutshell, convergence deals with the issue of how different things come together to produce something new. It is a bit of a buzzword in media studies right now, but there is a reason for it. Convergence means different technologies, practices, ideas coming together and creating something new. For example, your smartphone is an example of a convergent technology: it combines the telephone, the computer, the global positioning system, the television, the music player, and other technologies into one device. By bringing all of these technologies together, a completely new technology is created, and, in being created, impacts how we engage with it. One of the reasons why you have a hard time putting your smartphone down is because it can do so many different things for you; and the reason it does so many different things comes from it having so many different technologies and features of technologies combined into one device. So, when I say that the interesting thing about the WWE Network is its convergent nature, I mean the network is a product of combining different media technologies into one Internet-based platform. 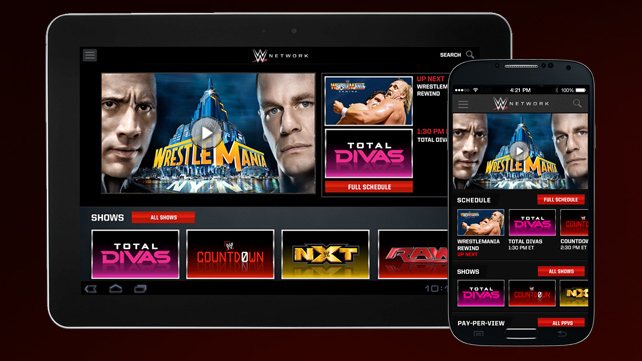 The WWE Network is a 24-hour television network with scheduled programming, and a video-on-demand library of the WWE and more, and a location of live pay-per-view specials that before were purchased from cable providers. The network is available via the Web, mobile apps, and connected device apps such as for our PlayStation 3. While it still has shows on cable networks USA and SyFy, the WWE is gambling on this convergent network as being the future of television — and this gamble is very interesting to this television and new media researcher. Now, from what I can tell, this is not the only way in which the WWE, in particular, and professional wrestling, in general, can be seen has having a convergent nature. Numerous aspects of the sports entertainment appears to be a combination of different genres, media, practices, realities, identities, and so forth. Because of the various ways in which the company and the sports entertainment have a convergent nature, I am interested in proposing a panel for the upcoming 2015 Central States Communication Association to present papers on various convergences seen in professional wrestling. Additionally, if there is enough interest in the topic, then I would be happy in putting together a proposal for an anthology taking this type of scholarly approach to professional wrestling. I emailed you a more detailed response but I did want to post my comment as well. From my perspective, I have been an active observer of convergence in the media for many years (my background was journalism for 26 years and I have been teaching for the past 15 years). Much of the media has been 10 steps behind technology and social media. Watching morning news programming (Today and GMA for example) attempt to “tweet” and use “Instagram” and sites like Vine and Facebook as part of the inclusion of “new media” is still awkward. The millennials who pushed the social media forward laugh watching the “over 40s” attempt to look like they know what they are doing. Wise news directors keep the smart technology away from those who are just automatically perceived to NOT know what they are doing – even if they do. As you look at convergence, do not get stuck on what is now going on because what is coming up next is already in the works. Just as the Internet and portable technology changed the way we live, so will the next big wave – wearables. It has already started with the introduction of the iPhone watch, Google glasses and Occulus Rift. All of these are in their infancy but a lot of amazing things are happening with them that most people do not know about. If you want to say these items are also part of convergence, you may be correct but I believe they will take how we communicate to yet another level as we move forward. I can tell you the speed in which these devices grow and integrate into society will depend on what affect their existence has on profits and the economy. Imagine a device that replaces TVs and provides a more physical experience? How useless will the smart phones be when you can wear instead of carry a device? The possibilities are endless on what such devices can do for education, healthcare, human communication and entertainment. If I were part of any anthology involving the future of mass communications, I would want to include wearables in such collection of information. I completely agree that anyone considering convergent technologies needs to not only be aware of the current technologies but those upcoming as well — the trick being, we will not fully understand what the resulting convergences can be until they unfold. One thing I am hoping to stress in this panel, and any potential book, would be to consider the concept/phenomenon of convergence beyond technological. I think convergence is an aspect of our post-modern lives, and thus can be found in a number of different ways — from identities to genres to business practices to intertextuality, and so forth. That is why I think professional wrestling is so interesting, because I think it represents a post-modern text because of all the convergences that seem to constitute it. So, right now for the panel proposal, we have ideas looking at how professional wrestling represents convergences in the content — overlaps in genres, styles, characters — and convergences in practices — from the business side to the fans themselves. All of these convergences, I think, represent the true nature of professional wrestling, and even what many different types and forms of entertainment are these days.